This Swiss cheese is crafted in the canton of Appenzeller, near the Austrian border. 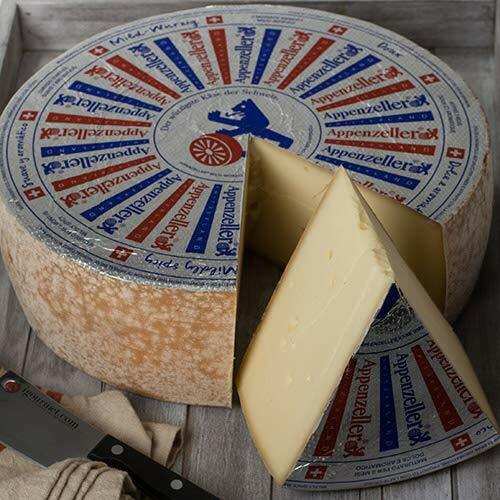 After it ages for approximately three months, Appenzeller achieves its ideal form: pressed, cooked-curd, brushed-rind cheese with occasional pea-sized holes. It has a pleasantly smooth texture, but this cheese's true allure is its fruity tang. In fact, Appenzeller pairs extremely well with fresh fruit; it melts nicely also. Made from unpasteurized cow's milk; aged for 90 days. Photo depicts whole 15 lb. form of cheese.